How to Become "Can Assistant"
If you like you can make your own pinhole camera, but don´t hesitate to tell your interest in this project and write your address to where I can send a free pinhole camera. Any sort of box / container / can / carton / e.g. 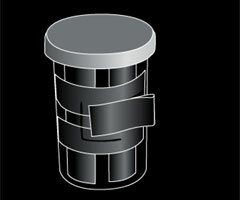 a black film case. 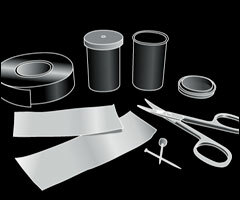 Other necessary equipment is: a thin pin, scissors, black tape, a piece of aluminium foil and black and white photographic paper, which is sensitive to light. 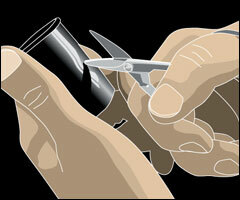 The scissors are a convenient way of making a hole in the middle of the side of the film case. 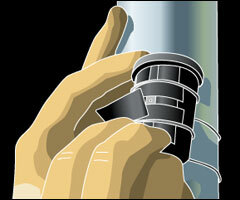 When using a can, a hole may be done by using a hammer and a peg or a drill to get the hole to the sought-after size. The hole is bigger than the required pinhole. 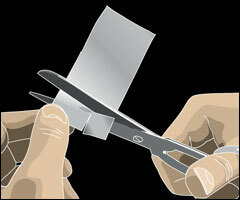 A piece of foil that will cover the hole is cut. A small hole is done in the piece of foil with the point of a pin. 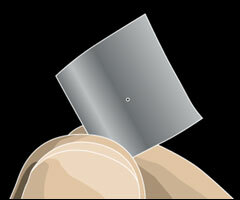 Smooth out the area around the hole, so that the ray of light can get in the hole without any obstacles. This is done by using sandpaper. 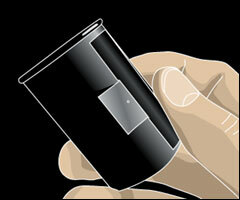 The smaller the pinhole is, the deeper and sharper and more accurate the picture. 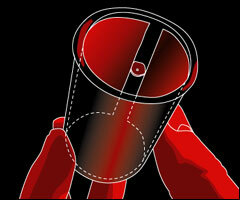 To avoid reflection it is worth blackening the container from the inside by e.g. 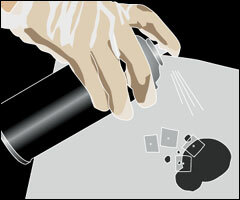 spraying mat black spray-paint inside the container. The foil which has a small hole is attached to the container over the hole. 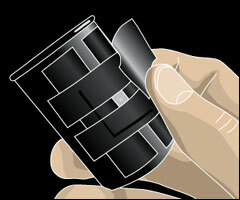 Place the protective black tape that covers the pinhole so that it is ready on the side of the container. In a darkened room, a fitting piece of photographic paper with its emulsion side upwards is placed in the container, in a way that it does not cover the pinhole. 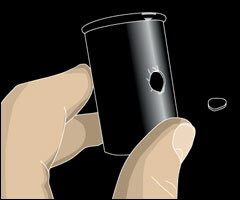 The pinhole of the prepared camera is covered with a loose piece of dark tape. The pinhole camera is ready. The pinhole camera is attached to a sunny place with the hole towards the sun. The container must be attached tightly, so that is does not sway in the wind. 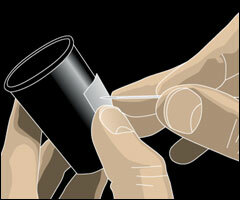 The exposure of the light sensitive material (photographic paper) begins as soon as the tape is taken off the pinhole. The exposure finishes by covering the pinhole.